APM Construction Ltd - Builder based in Broadstairs, Kent. APM Construction are a friendly, reliable family run business based in Broadstairs, Kent. We offer all aspects of building services in and around Thanet; from Painting & Decoration to Extensions and Loft Conversions. However big or small the job is, we have it covered. We project manage our own jobs and liaise with all trades throughout the duration of the work. We have built an excellent reputation for providing high quality workmanship and offer a personal service with great attention to detail. With 20 years' experience in the construction industry, we believe you will be in safe hands with us. Our main goal is customer satisfaction; we believe this sets great foundations for a successful business now and in the future. We are proud to be members of the FMB, Federation of Master Builders. It is a recognised logo which provides a sign of building quality; giving clients peace of mind when using our services. As with Checkatrade, being members of the FMB means our work is independently inspected to reassure customers that we are meeting and exceeding the strict regulations and polices set. Along with being members of the FMB, we are also a Trustmark registered business which is a Government Endorsed Quality Scheme. This means we have been thoroughly vetted to meet the required standards and have made a considerable commitment to good customer service, technical competence and trading practices. APM Construction are also approved installers of windows, doors and conservatories all available in a wide variety of finishes and designs. As members of CERTASS, we are able to certificate our work and provide our customers with an Insurance Backed Guarantee. 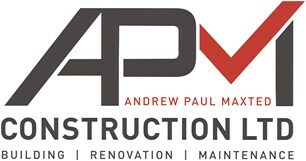 At APM Construction we only use trained and qualified professionals. We operate as a team striving for a high standard of work, taking pride in every job undertaken. We are fully insured with Public Liability, Employers' Liability and All Risk Contractors' Insurance.